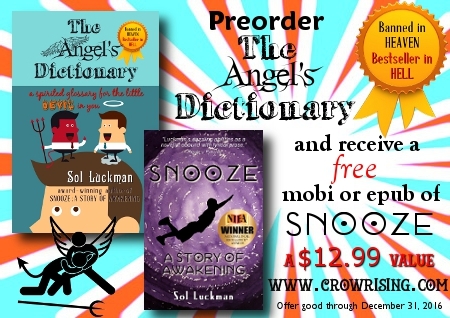 Sol Luckman’s epic visionary novel, SNOOZE: A STORY OF AWAKENING, winner of the 2015 National Indie Excellence® Award for New Age Fiction, has been selected as a 2016 Readers’ Favorite International Book Award Finalist in the Young Adult-Coming of Age category. Readers’ Favorite has become the fastest growing book review and award contest site on the Internet, having earned the respect of renowned publishers like Random House, Simon & Schuster and Harper Collins and received the “Best Websites for Authors” and “Honoring Excellence” awards from the Association of Independent Authors. Readers’ Favorite is also fully accredited by the BBB (A+ rating), which is a rarity among Book Review and Book Award Contest companies. In addition to reviewing for some of the biggest names in the literary industry, Readers’ Favorite hosts a respected award contest which features entries from new authors to NEW YORK TIMES Bestsellers, as well as celebrities like Jim Carrey and Henry Winkler. 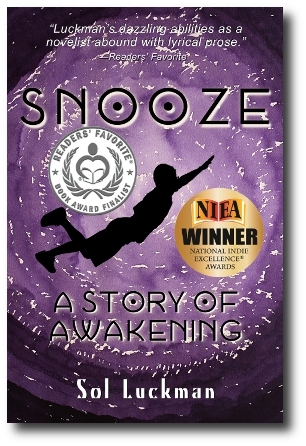 Readers’ Favorite is proud to announce that SNOOZE: A STORY OF AWAKENING by Sol Luckman has been honored as a Finalist in the Young Adult-Coming of Age category in the 2016 International Book Award Contest. Join Max Diver, aka “Snooze,” along the razor’s edge of a quest to rescue his astronaut father from a fate stranger than death in the exotic, perilous Otherworld of sleep. An insightful look at a plethora of paranormal subjects, from Bigfoot and lucid dreaming to time travel via the Bermuda Triangle, SNOOZE also shines as a work of literature featuring iconic characters, intense drama and breathless pacing to stir you wide awake. Review copies and interviews are available upon request. 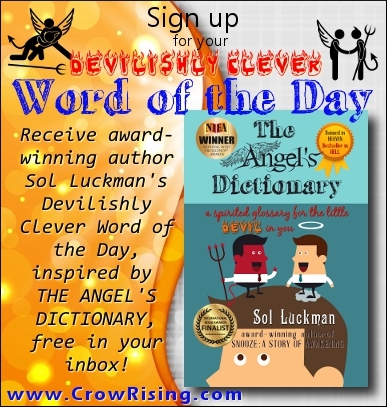 Contact Sol Luckman here. Previously, Sol Luckman was best known for his acclaimed nonfiction books, CONSCIOUS HEALING and POTENTIATE YOUR DNA, which explore the role of consciousness and DNA in personal healing and transformation. 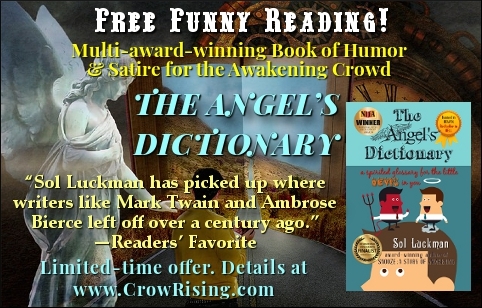 His latest book, THE ANGEL’S DICTIONARY: A SPIRITED GLOSSARY FOR THE LITTLE DEVIL IN YOU, reinvigorates satire to prove that—though we might not be able to change the world—we can at least have a good laugh at it. Then again, maybe laughter can transform the world!